Japan’s long awaited World Championship WRC candidate rally was run on asphalt stages, based at Shinshiro in Aichi Prefecture, and was won by veteran driver Toshi Arai. Driving a Subaru WRX STI, it was Arai’s first victory on this event after three times finishing second. 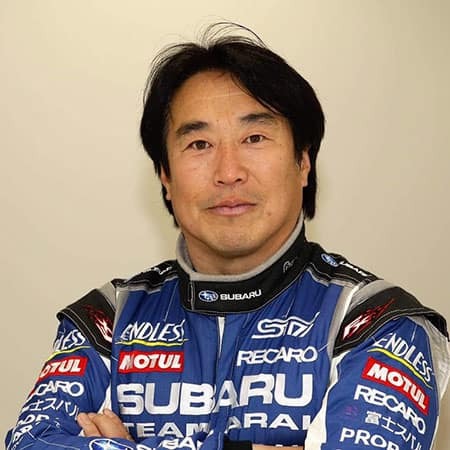 Veteran Japanese driver Toshi Arai. The Shinshiro Rally was the final round in the 2018 Japanese Rally Championship and featured 15 stages totalling 109km competitive driving, two of which were only 550 metres long, and run close to Toyota City at Nagoya. The event was monitored by FIA officials who must decide whether the WRC should include this style of event. If so, the FIA, who are already committed in 2019 to an extra WRC event in Chile, must choose which existing event should be removed from the series to make way for the return of Japan to the series in 2020. Arai finished 14.3 seconds ahead of his championship rival, Norihiko Katsuta, while third was the Mitsubishi of Fumio Nutahara. Taking part was the racing driver Heikki Kovalainen, but his Toyota GT86 retired with gearbox trouble. The only other non Japanese competitor was Irish driver, Matt Shinnors, who finished 59th in another GT86.